You can’t resist the comfort and versatility of a basic tank top. 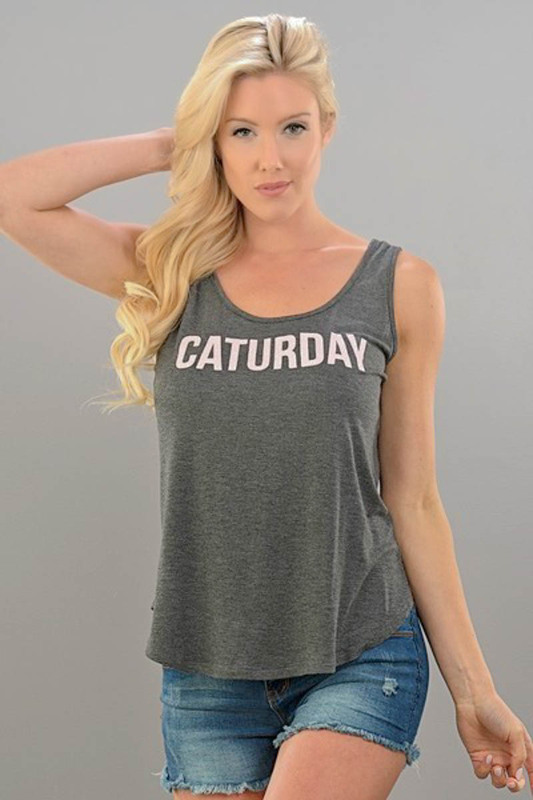 The Caturday Tank Top has all of that plus the word “Caturday” emblazoned on the front in bold, upper-case letters. Let the world know you enjoy Caturday mornings with this wonderfully comfortable tank top. This top runs a little loose, so if you like a closer fit, you might want to choose a size down from what you usually choose. You can wear this top with activewear, jeans, shorts or tuck it into a skirt.